Welcome to Monday Social #8. This week was all about Fall in my house. 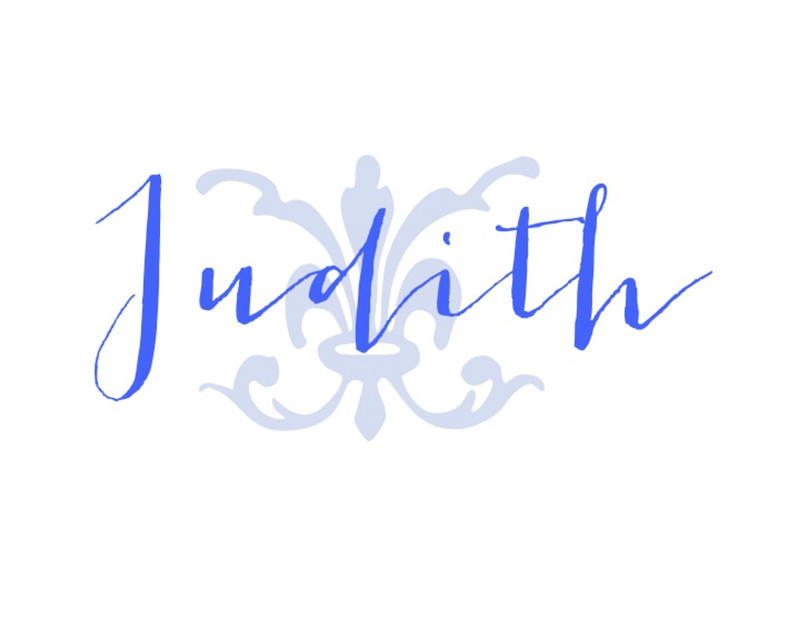 Here's your chance to see some behind-the-scenes for creating a Fall centerpiece and to view photos that show some of the post-and-beam structure of my house. 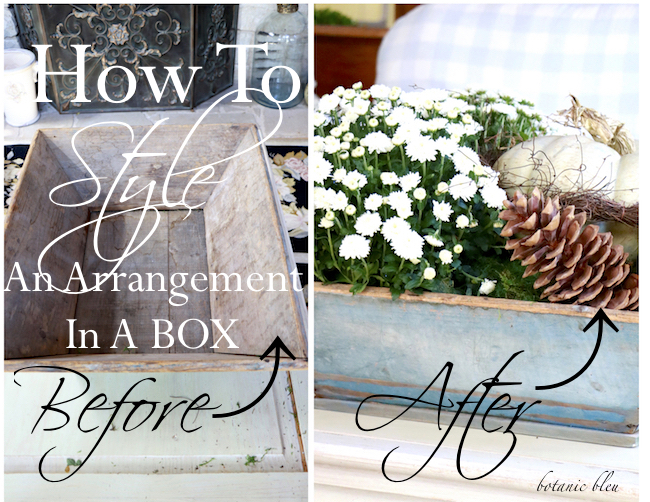 Step-by-step instructions with photos show how to create a large arrangement in a box or dough bowl. A tour of the living room highlights its Fall decor, French style, and post-and-beam structure. Thanks for joining us last week for Monday Social #7. This week's features are also all about Fall. 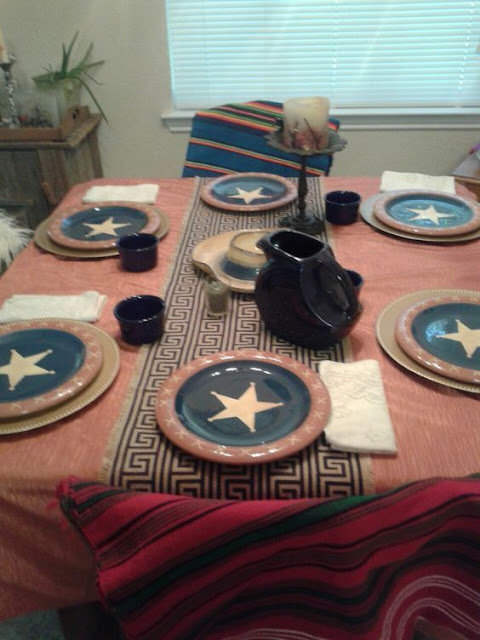 Grantham Lynn "cowboys up" and decorates for Fall with what is on hand. 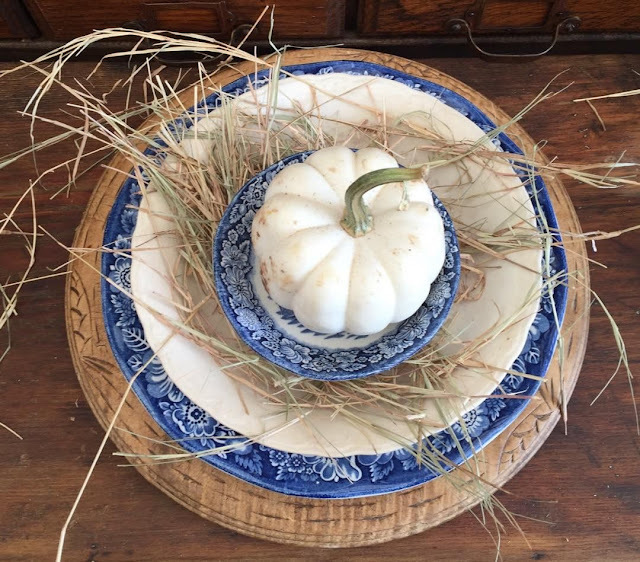 Her table setting shows you don't have to have pumpkins to create a Fall table. 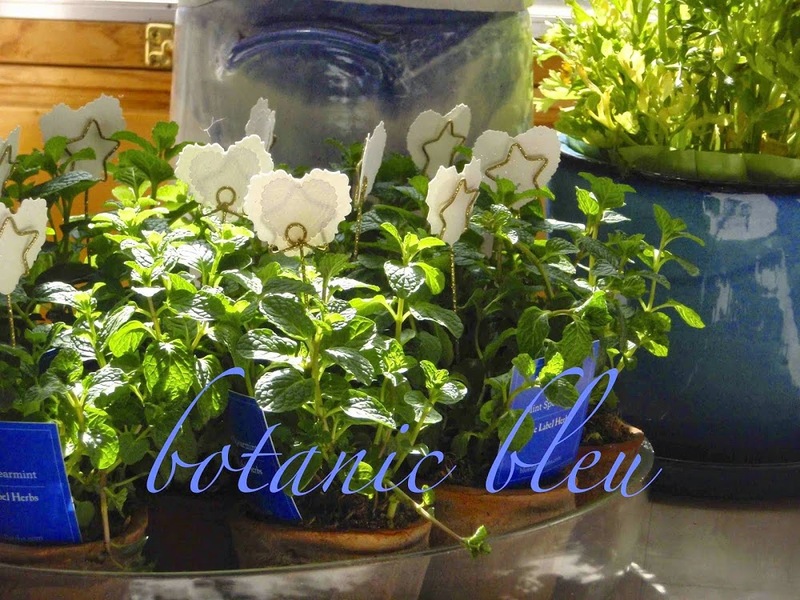 Sarah visits Round Top Antiques Week regularly and finds the most wonderful displays to share. I love the blue and white dishes, white baby Boo, brown charger, and S T R A W table setting. A girl's trip to Round Top with Sarah would be so much fun! 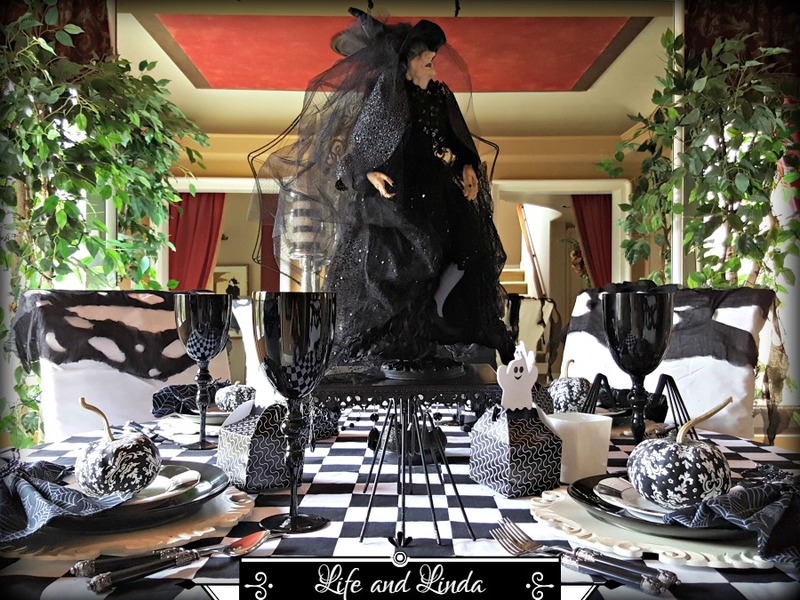 Linda who blogs at Life and Linda is a master at creating innovative table settings. Her Halloween table has just the right combination of up-scale style (toile pumpkins and black goblets), spooky (Agatha, the witch), and whimsy (ghosts popping out of boxes). 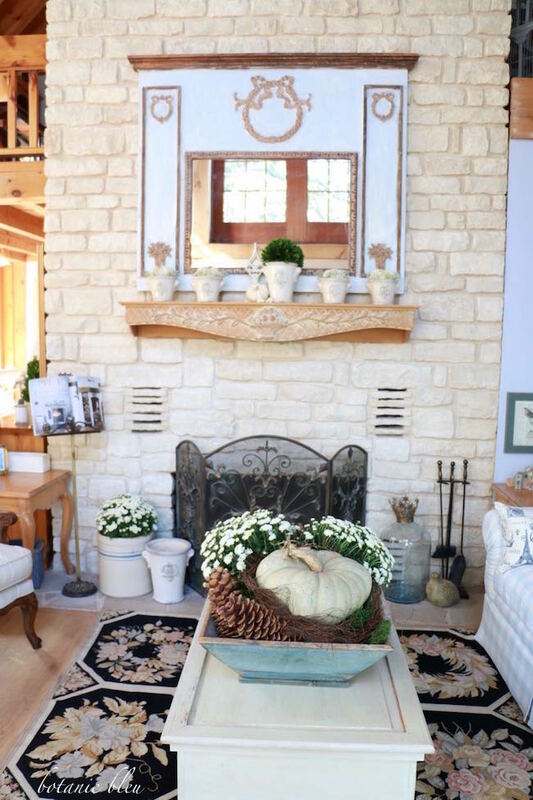 Sheila who blogs at My Kentucky Living shared her beautiful home filled with Fall inspiration. Her Halloween front door greets arriving guests with a fun black cat visible from outside and inside. Thank you so much for hosting. Such great features. Wonderful features. Thanks for hosting! Happy Halloween! 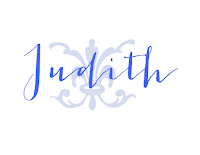 Katie, thanks for hosting and thanks for the feature. This has become one of my favorite parties because of the mix of social media. Great idea! What a great idea! I'm not sure I know how to link up from my phone but I'll try. Hi Katie... Looks like a great group of bloggers. Thanks to you and the other ladies for hosting. Enjoy your Halloween. Oh you featured me. Way cool. I was just coming over to link! Thanks for the party and the feature! Have a great party!